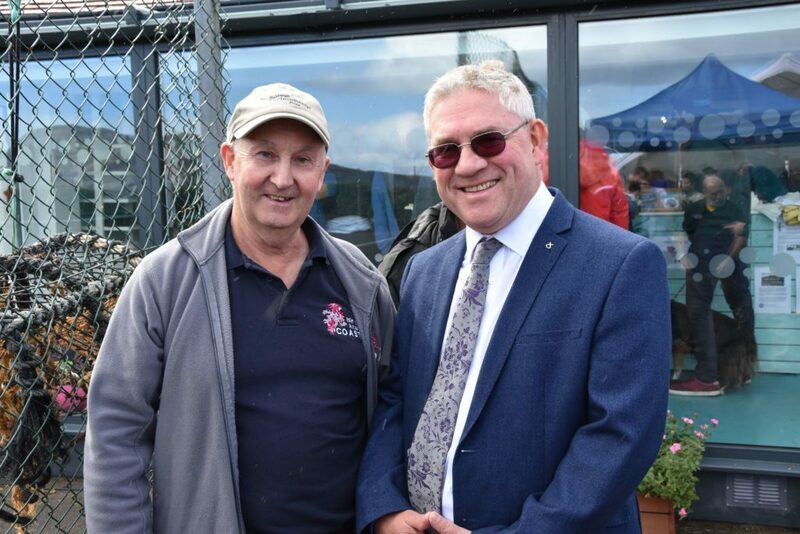 The Community of Arran Seabed Trust (COAST) officially opened their doors at the Octopus Centre last Saturday with an opening ceremony that coincided with the 10 year anniversary of establishing the Lamlash Bay No Take Zone. 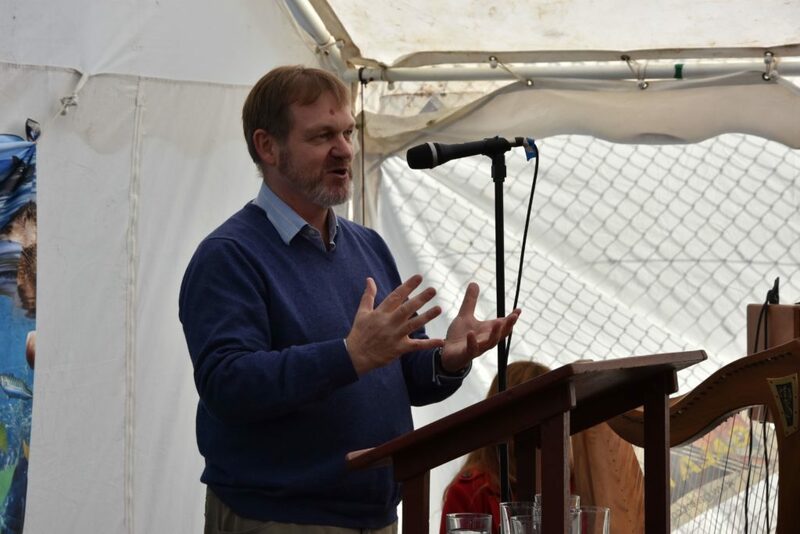 Speaking at the event COAST director Paul Chandler thanked everyone in the community for playing a part in helping to establish and advance the organisation, without whom he said, they would not be in the position that they were in. 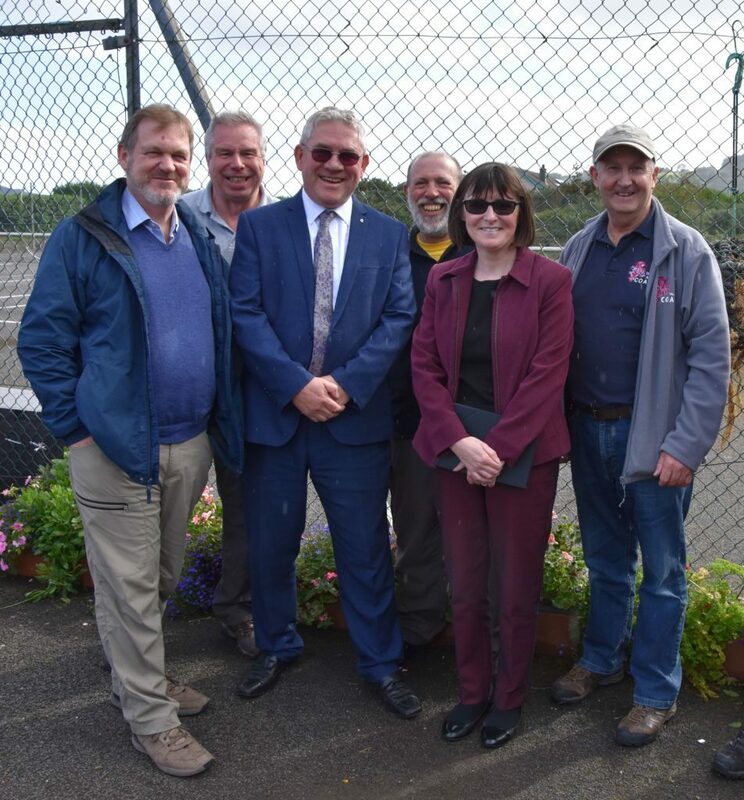 The occasion was marked with a number of speakers ranging from Kenneth Gibson MSP, Scottish Environment Protection Agency’s Terry A’Hearn, Planet Earth II film-maker John Aitcheson and COAST co-founder Howard Wood, to local speaker Colin Guthrie who recited a poem dedicated to the organisation. 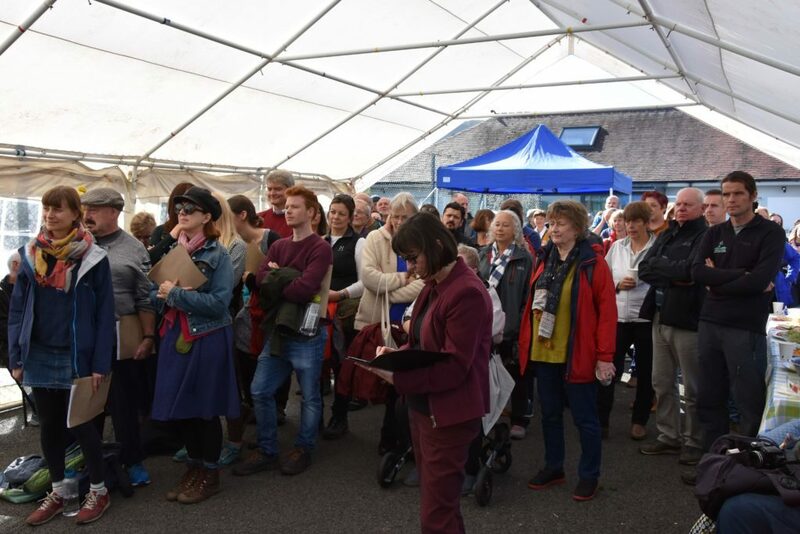 The event was well attended with 150 people gathering at the opening which received support from local organisations such as the Brodick Co-Op who supplied the food and drink, Arran Gin Company and Arran Distillery who provided tasting sessions and Heather Macleod and Stuart Farrar who entertained the crowds with music fitting for the occasion. 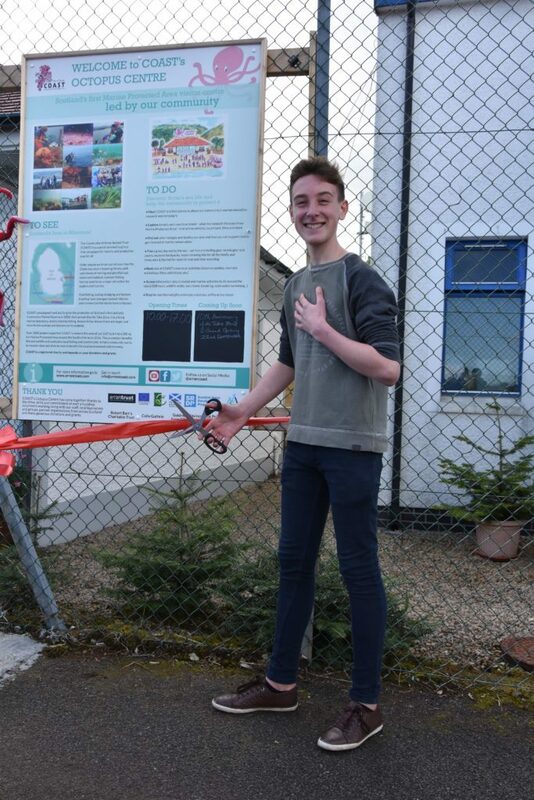 Following the speeches, an official ribbon cutting ceremony took place and a celebration was held with ten cakes, one for each year of the No Take Zone. 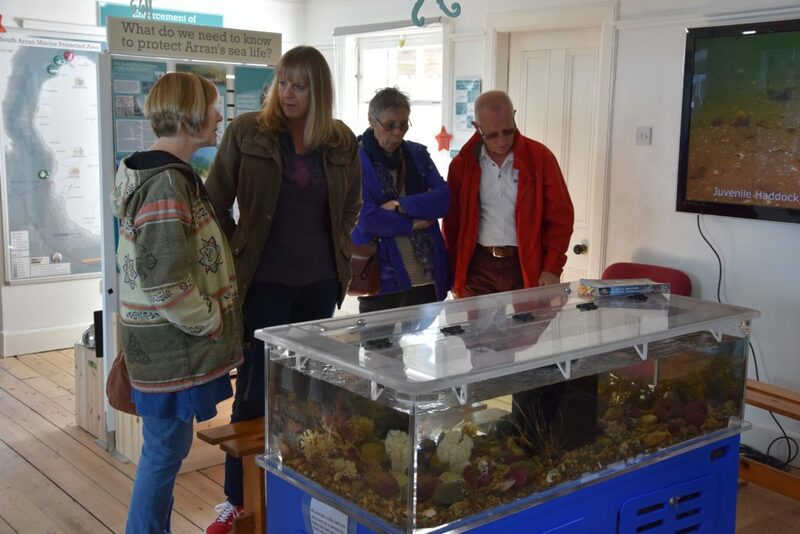 Visitors were then invited to explore the Octopus Centre which will act as the headquarters of the organisation and a place to book events, acting as the focal point for marine research, conservation and related activities. 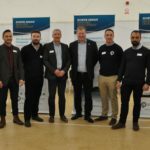 In addition it will act as a marine educational learning centre and in a Scottish first, a Marine Protected Area visitor centre, providing information about the ecology and marine life in the No Take Zone and the Marine Protected Area. Offering a viewing tank experience, the building located at the old tennis courts in Lamlash, also houses an interactive display in real-time of vessels that are fishing in the area as well as a host of tactile artefacts from the ocean for adults and children to experience. COAST director Paul Chandler said: ‘ Our new Octopus Centre is our community marine activities and learning centre, which forms the hub for our education, scientific research and campaigning. It is a fun place to learn and become involved in marine conservation. 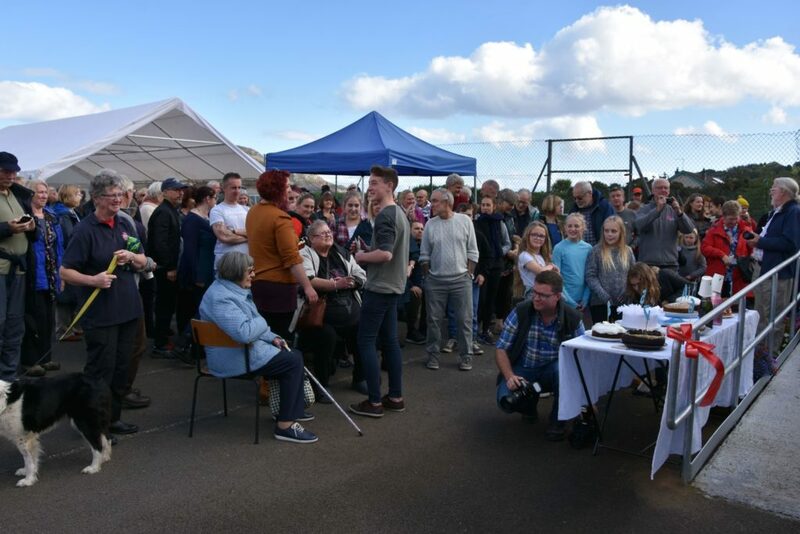 This community engagement and sense of ownership and the presence of people who care about nature was clearly on display at our busy official opening on Saturday. 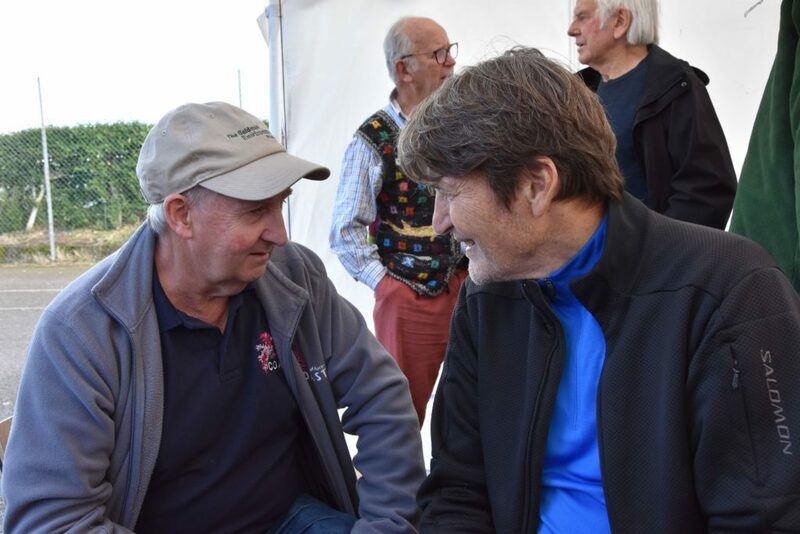 COAST was founded in 1995 by divers Howard Wood and Don MacNeish who witnessed first hand the damage that was being done by fishing and dredging activities in the area. 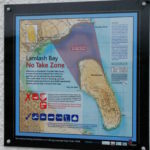 The organisation has since then pushed for pioneering conservation in the area and in 2008 established the Lamlash No Take Zone and the South Arran Marine Protected Area in 2016. In 2015 Howard Wood received the prestigious Goldman Environmental Prize, the world’s largest award for grassroots environmental activists.